A height adjustable L shaped desk with a hutch for extra storage. 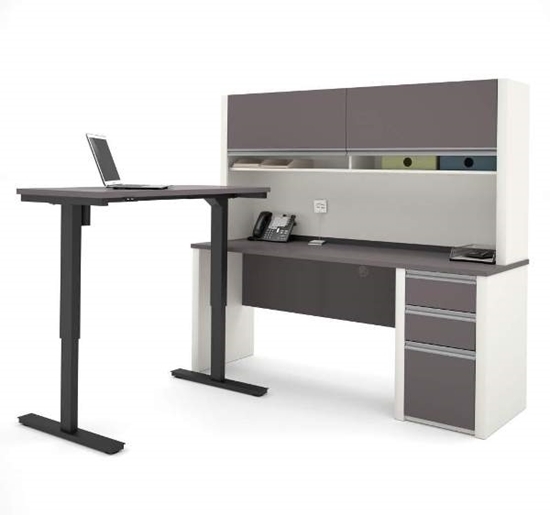 This desk features electronic height adjustment, a 1" thick commercial grade top, and is available in two colors. 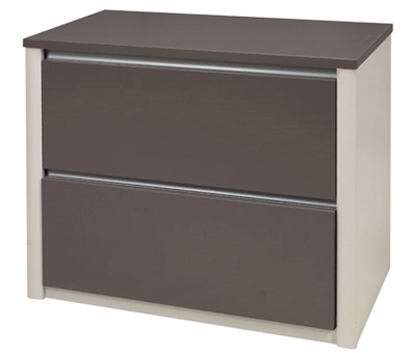 The hutch for credenza offers large closed storage space, efficient wire management and two large paper shelves. The doors are fitted with strong lift up hardware. The large flip up doors bring a modern and original touch. 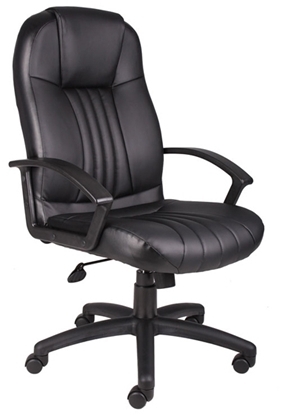 The Boss B7641 is an affordable and popular executive office chair. This model comes in Black and has a distinctive design. The lombar inset back provides both comfort and support. This fully adjustable chair works well in your private office or around a conference table. Warranty and free shipping on all discount chairs.